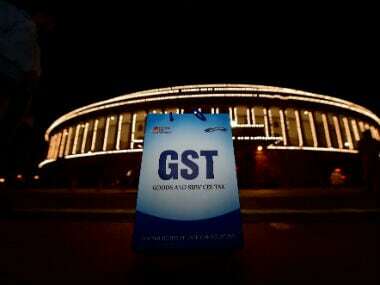 New Delhi: With the improvement in India's ranking in the World Bank's 'ease of doing business' report to 100th position, bankers and experts on Tuesday expressed hope that implementation of the GST will strengthen the country's position in the future. "Going forward, GST's incorporation in next year's assessment will provide another significant leap in doing-business rankings for India," Yes Bank managing director Rana Kapoor said in a statement. It is to be noted that the latest Ease of Doing Business report by the World Bank released today did not take into consideration the implementation of Goods and Services Tax (GST) from 1 July, 2017. Passage of the GST Bill was clearly a watershed moment for the economy but even otherwise there has been a sustained effort to simplify licencing and tax structures, thereby making India a much more investment friendly place to do business, said Axis Bank managing director Shikha Sharma. According to KPMG, the next paradigm shift to top 50 is still a long way ahead and will require India to maintain a strong momentum. The GST reform that did not get considered this year will drive India's improvement in next year's assessment, but there is a need to continue to work on other areas including starting a businesses, trading across borders as well as land reforms, KPMG partner Nilaya Verma said. The change in ranking reflects the outcome of a significant effort by central, state and city administrations, another consultancy firm PwC said. The improved investment climate will give an impetus to several economic corridors that are ready for investors, it added.